Shelby Young is a Florida-born actor with an extensive background in both on-camera and voice over. In the on-camera world you may know Shelby as Leah from the Emmy-winning American Horror Story, KC in the Best Picture Oscar®-nominated The Social Network, or Kinsey on Days of Our Lives. 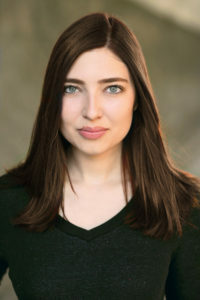 In the world of voice acting, Shelby is best known for her work on Disney Channel’s Star Wars Forces of Destiny, where she voices both Princess Leia Organa and Princess Kneesaa the Ewok; as well as in video games such as Battlefield 1, Wolfenstein II: The New Colossus, both Final Fantasy XV DLC’s and Dead Rising 3 where she voiced and mo-capped the lead role of Annie. 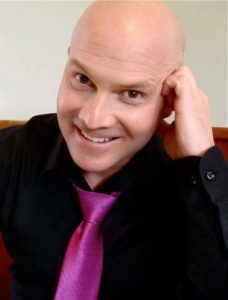 Shelby currently voice-matches for an ever growing list of celebrities and has done ADR work and looping in over forty film and television projects. As a self-proclaimed “spooky girl,” Shelby is honored to join the cast of The Hidden Frequencies podcast. DreamWorks Animation debut as a series regular on Kung Fu Panda: The Paws of Destiny. Daisy Lightfoot is a Virginia native who has always had a love for the arts. She moved from her hometown at the age of 12 to pursue an acting career while simultaneously beginning her collegiate studies. She graduated high school at 16 and got her first degree soon after. Since then, Daisy graduated from Johns Hopkins University with a degree in Communications with a media emphasis. 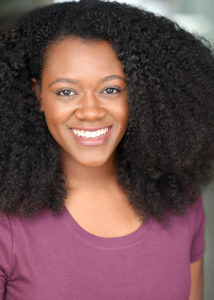 Daisy has worked on many commercials and video games but is now working in her “most impactful role to date” as Shuri on Marvel Avengers Assemble: Black Panther’s Quest that is currently airing on DisneyXD. Daisy continues to volunteer for children’s health initiatives in California and is dedicating to exploring and adequately depicting the intersection of faith, artistry and social justice in her forthcoming projects. She considers herself a dad joke connoisseur and a literary nerd with the heart (and hair) of a lion. Episode 8, Sweet Dreams was written by Callie Miller. A lifelong purveyor of words and investigator of curiosities, Callie C. Miller grew up sneaking not only extra reading time when she was supposed to be asleep, but also extra writing time. 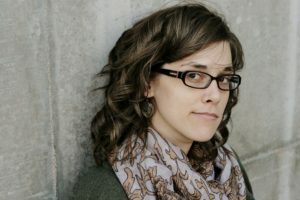 She received her MFA in Writing from the Vermont College of Fine Arts, and has twice placed in the Katherine Paterson Prize competition for her middle grade science fiction and fantasy works. Callie continues to focus on genre fiction (as she finds the real world boring) and delights in the quirky and odd. She currently lives in Los Angeles.